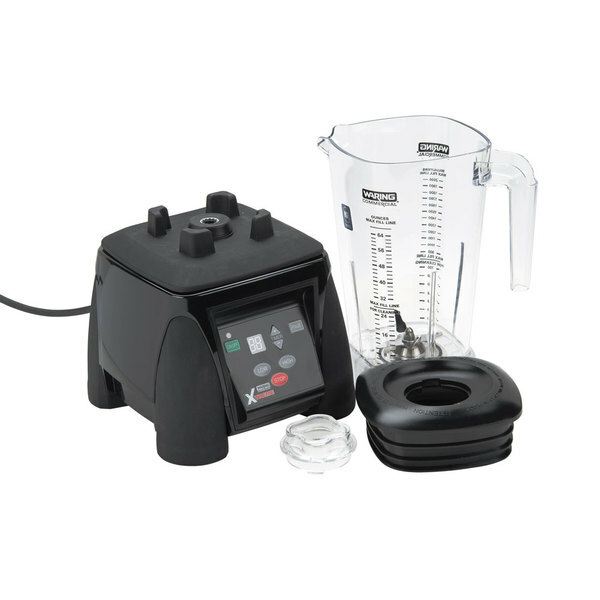 The Waring MX1100XTX Xtreme high power commercial blender is ideal for smoothies, bar drinks, soups, salsas, desserts, dressings, and more. 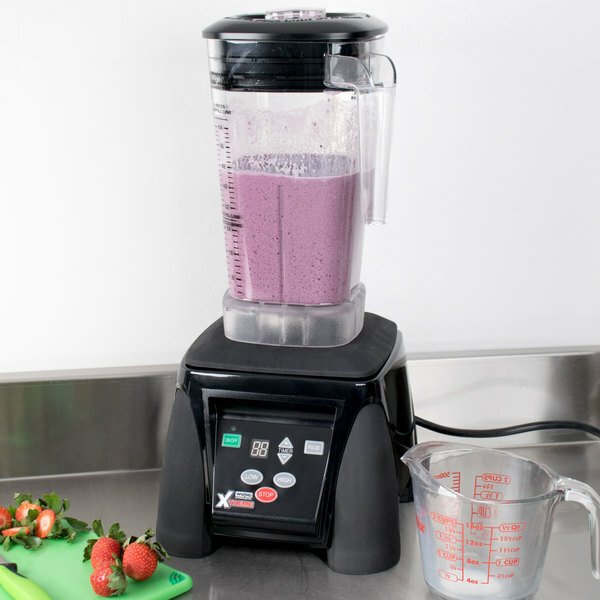 This blender features a 3.5 hp motor capable of up to 30,000 RPM on the high setting and 45,000 RPM on the pulse setting. The easy-to-clean electronic keypad lets you change among high, low, and pulse functions for maximum versatility. 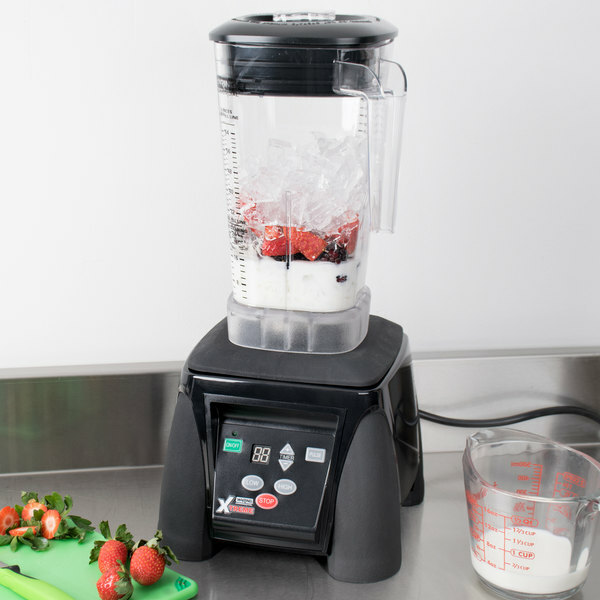 A remodeled blender jar, The Raptor, features an ultra-aggressive blade and jar design that delivers smoother, more consistent results. 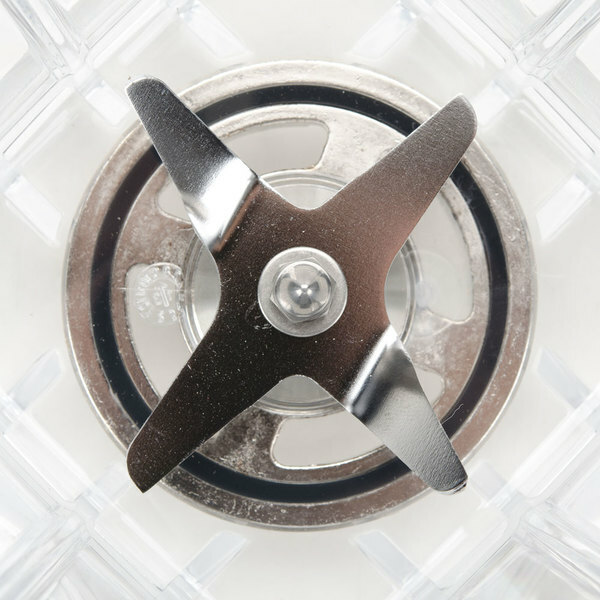 For easier cleaning, the blade remains inside the blender so both components can be cleaned simultaneously! 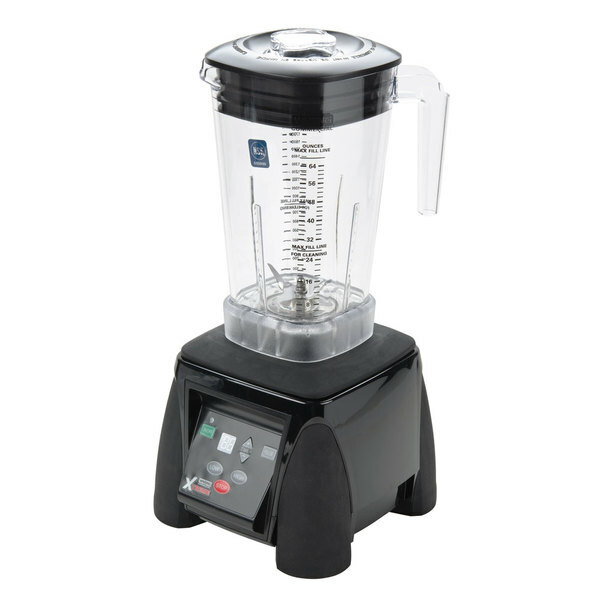 The MX1100XTX blender comes complete with an easy-to-clean electronic keypad, a 30 second timer, and a 64 oz. copolyester container. 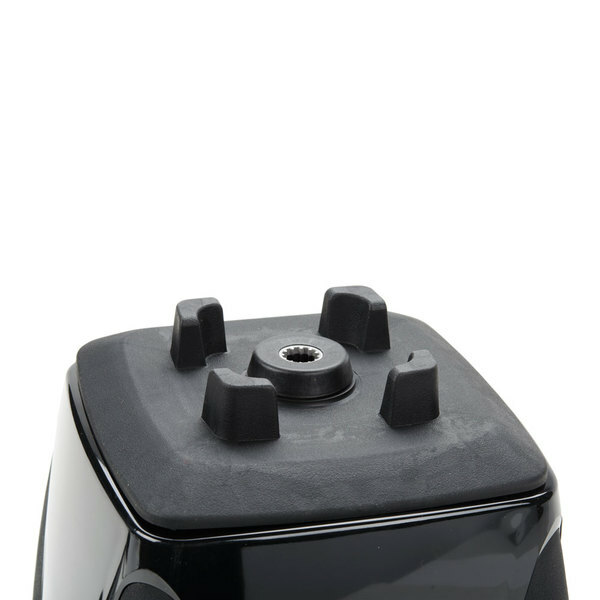 Pair this container with a large size sound enclosure (sold separately) for quiet operation. 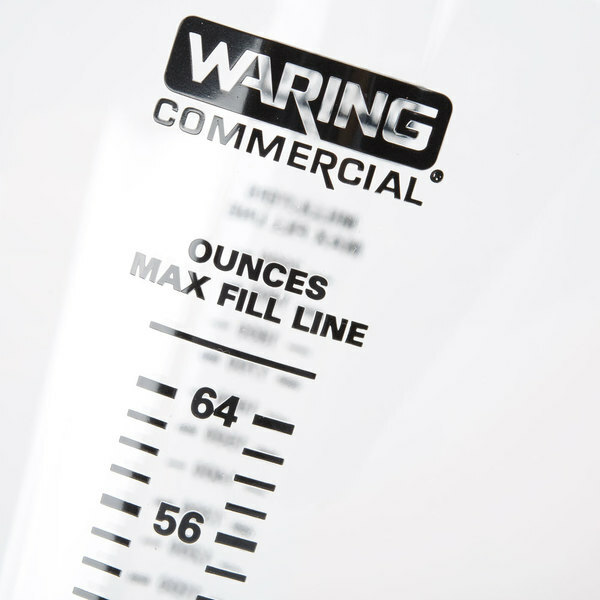 This Waring commercial blender requires a 120V electrical connection. Left to Right: 8 1/2"
Front to Back: 8 1/4"
I'm in love with this blender! After 18 months of struggling with a residential blender, the switch to a high quality commercial piece of equipment was like night and day. 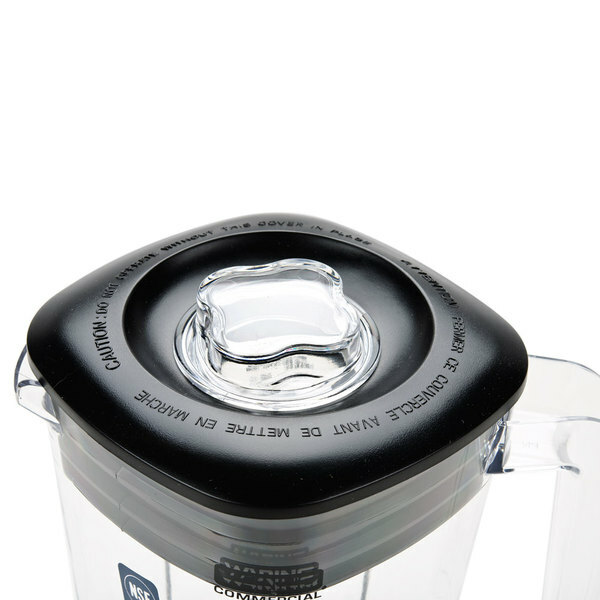 The blender is powerful without being overbearing, and is quieter than you would expect. 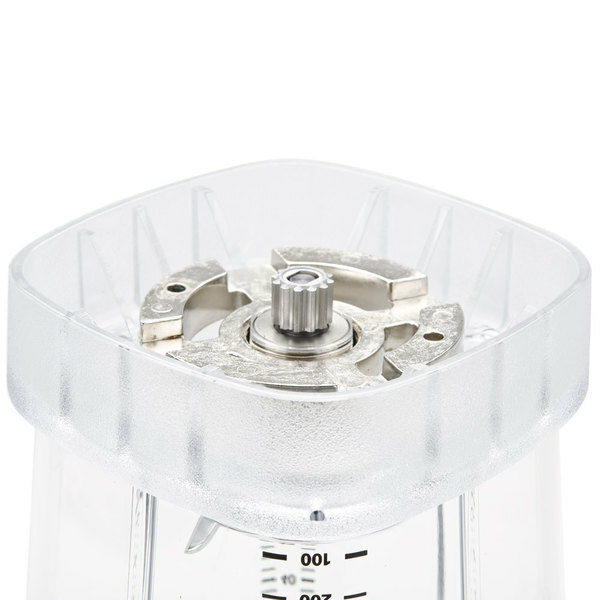 The timer is a wonderful addition, and it makes it easier to multitask while making blended drinks. This commercial Blender is the best that I ever purchase. 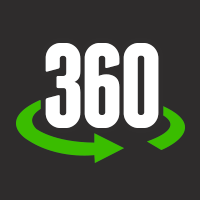 is easy to operate and is fast. It's great for fast pace restaurants. It blends the milkshakes perfectly. My customers are very satisfied. this is a great blender for the money. we got long use from it but over time the gears did wear down and needed to be repaired. This Waring 3.5 hp blender is a beast ! set your timer and select your speed ( hi / lo ) and watch it make a perfect frappe every time. Love this blender! Fits in the dishwasher and makes great smoothies! Have had these for a long time and will continue to use Warings! Can't say anything more! Love the waring blender it makes my life so much easier. The timer on the blender is a plus I can do other things while the blender is blending. The power of the waring is extraordinary never had a blender so powerful. We already had a Vita Mix. 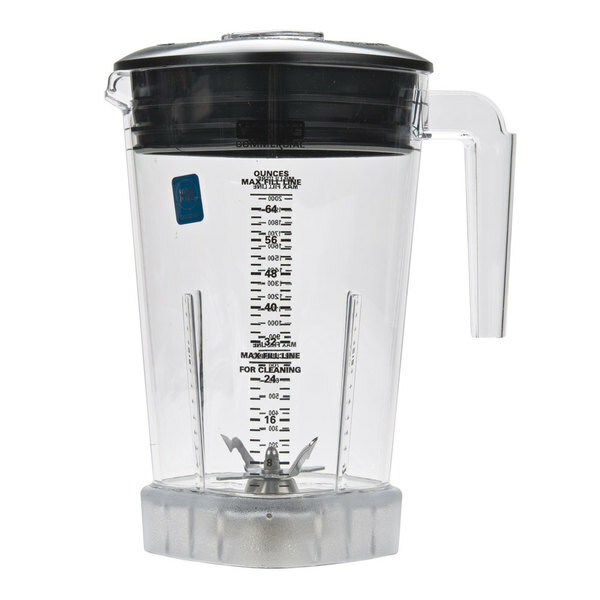 This Waring Blender is far superior to our Vita Mix. Can't wait to purchase two more this year. Does the job in half the time of our Vita Mix. This blender works great and its quitter then I expected. I am really impressed with the quality. Its crushes ice which makes great smoothies and frappes. It works so well that i am ordering a second one for my second home in Florida. I like that it doesn't cavitate by starting out at a slow turn or two before kicking in - and then it is all work - Fantastic! Top of the line blender. Withstands heavy usage at our bar, which is on the lake and does a high volume of blended drinks. Timer feature is nice as it allows the bartenders to multi-task while making a 2-3 blended drinks at a time. This is a great blender. I purchased this one two months ago for using puree. It comes out very smooths and I don't even need to strain it. Every time I use it. I love it. The best product I've ever bought. Bought one of these about six months back for my man cave in the basement and it has been great! It has never given me any problems. It does an excellent job at everything from making mean slushis for the kids to making cocktails at our parties. Highly recommend! This is truly one of the best values I've come across since opening our little coffee shop. It didn't take long and we decided to buy another. 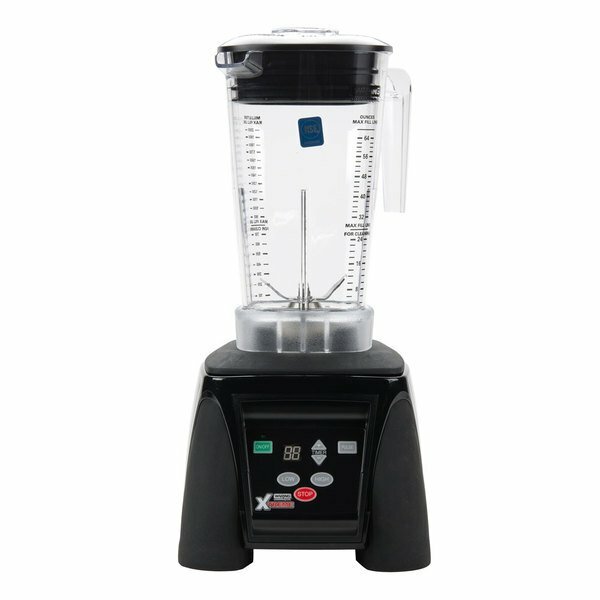 Fast, powerful and very affordable in comparison to other commercial blenders. What's the fuss about noise? This blender is an absolute bull!. Quieter than any blender I have ever used for frozen drinks! Frozen drink Brut!